In the world of midsize sedans, there is a lot of competition and it can come down to minor details that separate one make and model from another. In this case, when you compare the 2015 Toyota Camry vs 2015 Honda Accord, we think you will be pleased to know that we compared some of the most important features side-by-side with each other so you can easily see the similarities and differences that put the the 2015 Camry on top. The comparison between the 2015 Toyota Camry vs 2015 Honda Accord is won by the Camry mostly for its efficiency and standard features. The 2015 Toyota Camry is also a lot more affordable than the 2015 Honda Accord, both in terms of MSRP as well as in terms of value. 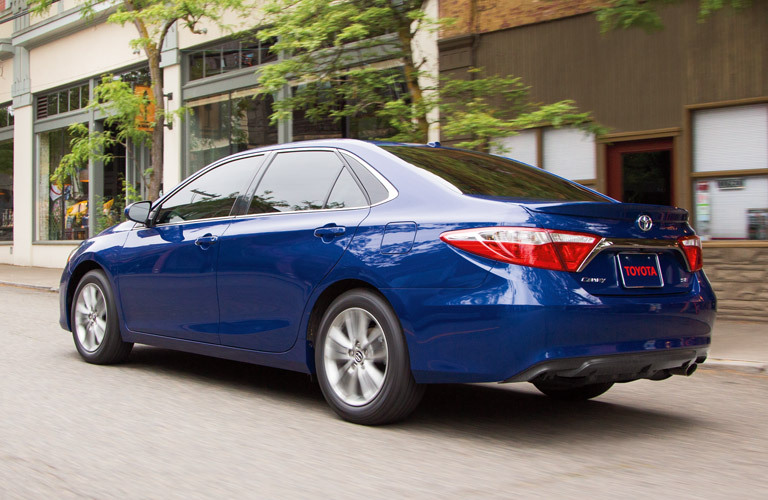 The 2015 Toyota Camry comes with quite a few more standard features than the 2015 Honda Accord, such as more passenger room, a smaller turning radius, an illuminated glovebox, a sliding front center armrest, a 2.5L engine and window controls for both the driver and passenger. The 2015 Camry provides a much smoother ride with its automatic, sequential shift control powertrain, which is a great feature for anyone who wants an enjoyable driving experience, and, let’s be honest, who doesn’t want that? The 2015 Toyota Camry is an excellent choice for drivers who also value safety, because though it be small, it is fun-loving and easy to drive. As far as features go, the 2015 Camry is also an exciting vehicle because it offers a ton of advanced technology features such as keyless entry, an infotainment system with Bluetooth compatibility, a USB port, wireless charging and more. Stop by or give us a call today and we can help you learn more about the 2016 Tacoma! *Based on 2015 Natural Resources Canada published fuel consumption rankings including hybrids (http://oee.nrcan.gc.ca/fcr-rcf/public/index-e.cfm). Rankings do not include plug-in hybrid electric and battery electric vehicles. Rankings current as of January 2015. **Estimated fuel economy based on Government of Canada’s new 5-cycle testing method. Your actual fuel consumption will vary based on driving habits and other factors – use for comparison only. For more information on 5-cycle testing, visit http://vehicles.nrcan.gc.ca.